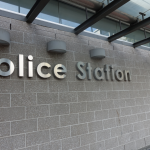 The Queensland Police Force will undergo an internal review following multiple incidents of police brutality, a number of which have been documented in our past blogs. The incidents have led to the appointment of a senior internal police investigator to look into the culture and powers of Queensland police, especially those stationed on the Gold Coast. 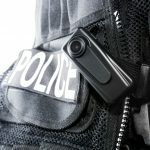 A proposal has already been put forward calling for all officers to wear body cameras – a move that is aimed at promoting transparency and accountability. Queensland police have once again come under fire for the “horrendous” assault of 20-year-old Brayden Aaron Mechen in Surfers Paradise during an arrest last year. Video footage has emerged of officers dragging Mr Mechen into a police van, before punching him in the face. As is often the case, police initially charged Mr Mechen with “assault police”, and he was due to appear in the Magistrates court. However, police later dropped the charges against him. One of the officers, Matthew Neijam, resigned shortly after the incident. 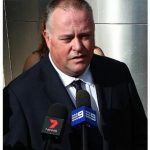 He had initially claimed that Mr Mechen spat at him – but Mechen vehemently denied that claim, and no such conduct is seen in the CCTV footage, which is perhaps why the charges were dropped. In another incident last year, 21-year-old chef Noa Begic was brutally bashed by police in the carpark of a Surfers Paradise police station. Leaked CCTV footage of the sickening assault sent shockwaves through the Australian community. Ironically, Sergeant Rick Flori is now facing criminal misconduct charges for allegedly leaking the footage and thereby exposing the misconduct of his fellow officers. Police are only allowed to use as much force as is reasonable and necessary to arrest a person, and no more. Anything beyond this is an assault, and police are liable to criminal prosecution just like anyone else. In addition to the LEPRA, the NSW Police Force Handbook says that people should only be arrested where necessary, that other options should be explored where appropriate, that officers must have a “good reason” for handcuffing someone who is being arrested, and that police must take all reasonable measures to prevent injury if they decide to arrest a person. 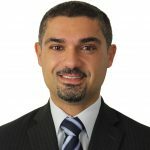 The meaning of “reasonable force” was considered in the case of Makri v State of New South Wales  NSWDC 131. Would a reasonable person in the same position as the officer believe that such force was proportionate to the suspect’s actions? Affray – if the conduct of the officer/s would have caused a person to fear for their immediate physical safety, even if no such person was actually present at the time. It would be difficult for someone who has viewed the recently leaked footage to sensibly argue that police are not guilty of some form of assault. Indeed, repeatedly punching a man to the head while that man is being restrained by another (as in the case of Noa Begic), and dragging a man to a van before punching him in the face (as in the case of Brayden Mechen) would ordinarily expose perpetrators to the very real prospect of a prison sentence. When those who have sworn to uphold the law are engaging in such reprehensible, dangerous and cowardly conduct, and when that conduct is only exposed due to leaks by brave police officers and public recordings, swift and decisive measures must be taken to restore the integrity of the police force, and to send a strong message to other officers that such behaviour will not be tolerated. 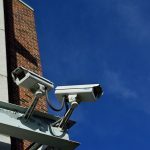 The alternative is that the current culture of crime and corruption continues to fester and grow, and that public respect for the force diminishes with every leaked video.